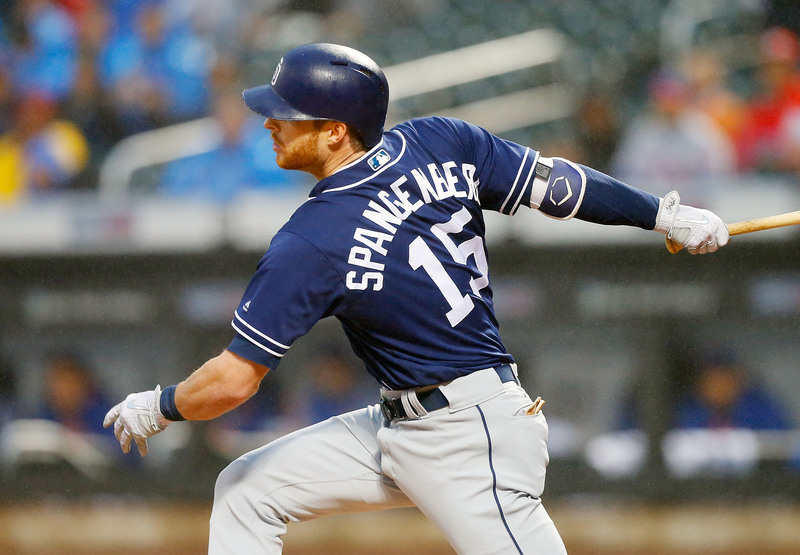 Cory Spangenberg has been released by the San Diego Padres and is free to sign with any major league team. The Padres let go of the utility player this week as they needed to adjust their roster for the Rule-5 draft which is next month. The longest-tenured Padre (on the active roster) is no longer with the team. 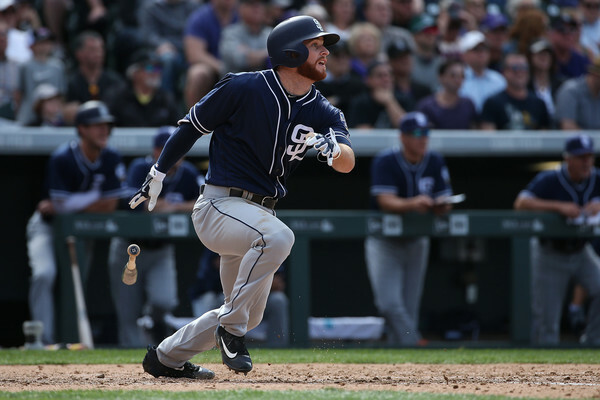 Cory Spangenberg, who has been sporting a Padres uniform since he made his major league debut in 2014, was released by the team three days after being designated for assignment. He has cleared waivers and is free to sign with any major league team. Spangenberg was selected in the first round by San Diego in the 2011 MLB Draft by then-general manager Jed Hoyer. After spending the better part of three years in the minors, he was called up to the majors in 2014 as a September call-up. He showed promise in 2015, replacing the struggling Jedd Gyorko and rattling off a batting line of .271/.333/.399 with a wRC+ of 105. Unfortunately, his abilities with the bat dropped off after this, with a rising strikeout rate and a declining on-base percentage being the primary factors. His strikeout rate soared to 32.8% while his on-base percentage dipped to .298, a career low for him. Said factor led to him posting career lows in nearly every batting category, including batting average (.235), slugging (.362), and wRC+(83) (these are his lowest if his 2016 season is excluded as he only played in 14 games due to a torn quad). After his display, many still thought that he would be spared come the roster setting for the Rule 5 draft and that Carlos Asuaje and/or Jose Pirela would be removed from the 40-man roster. Alas, it was Spangenberg who got his name called and was designated for assignment along with Allen Cordoba and Colin Rea. Spangenberg is still a candidate to re-sign with the team on a minor league deal, but it is likely that he will test the waters of free agency first. He will have suitors not because of his bat, but because of his versatility. The utility infielder is capable of playing second base, third base and left field. He has graded out as roughly average at second base and slightly below average at third base, but the capabilities of filling in at those pivotal positions will no doubt be attractive to teams in need of a left-handed bench player. Spangenberg is still 28 and will come relatively cheap as he still has one year of arbitration remaining. A team can sign him with the hopes of a bounce-back season while remaining in control of his contract. It will be interesting to see if San Diego tries to resign him, but with the aforementioned Asuaje and Pirela on the roster along with waiver pickup Greg Garcia and Urias filling spots that he plays, it is unlikely that Spangenberg comes back to play for San Diego. It makes sense the team wants to move on from Spangenberg, but Pirela should have gone first.